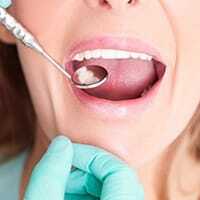 At some point, everyone has to deal with a chipped, cracked, decayed, or missing tooth. These things happen, and they aren’t a big deal if you get the treatment you need quickly. 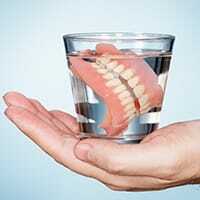 Fortunately, our team of dentists is more than ready to help you reclaim your complete smile. We only use the highest-quality materials for our dental restorations, plus we’re located right next to our dental lab, enabling us to provide more personalized solutions in even less time. If you’re ready to stop feeling self-conscious about your smile, be sure to give us a call today. A dental crown is a tooth-shaped “cap” that simply fits on top of a damaged tooth, and with it, we’re able to restore a tooth to its original shape and strength at the same time. This is one of the most versatile treatments in all of dentistry, and our team has used it to literally repair thousands of smiles over the years. With two crowns, we can even use them to form a bridge to replace a missing tooth or a row of teeth. Tooth-colored fillings enable us to repair small cavities and slightly damaged teeth without affecting the appearance of your smile, unlike a traditional silver filling. Tooth-colored fillings are made of a composite resin, and beyond being able to be specially shaded to blend in with a patient’s tooth, it also forms a much stronger bond with the enamel compared to a normal filling. This enables your dentist to preserve more of your tooth’s natural structure when placing it, giving you a tooth that not only looks great, but is built to last as well. 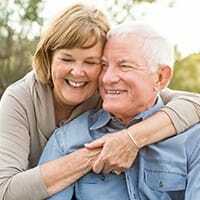 Dentures have long been one of the fastest and most affordable ways to restore multiple missing teeth, and thanks to the latest advancements in dental prosthetics, modern-day dentures are now smaller, sleeker, and more natural-looking than ever. 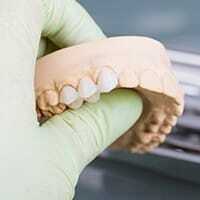 Partial dentures can replace multiple missing teeth while fitting in seamlessly with a patient’s remaining teeth, while full dentures can easily restore an entire row. In any case, we’ll make sure you leave our office with a smile you’re proud to show off. Every tooth has a small amount of soft tissue within it called the dental pulp, and when it becomes infected, whether due to extensive decay or an injury, it can cause the mother of all toothaches. 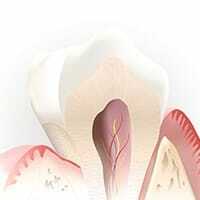 To relieve this pain, we can perform root canal therapy to remove this tissue and fully restore the tooth. Thanks to local anesthetic and dental sedation, this often feared procedure is now no more “excruciating” than getting a small filling.